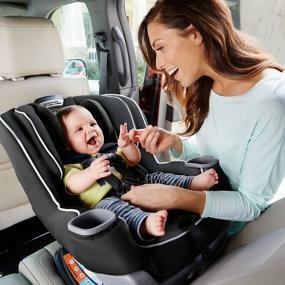 Growing kids can stay rear-facing longer with the Graco Extend2Fit Convertible car seat. Experts recommend rear-facing until at least 2 years of age; now children can safely ride rear-facing, longer. The Extend2Fit Technology provides an extension panel that gives your little one up to five additional inches as they grow. This gives their legs room to stretch while keeping them rear-facing up to 22.5 kg (50 lb). 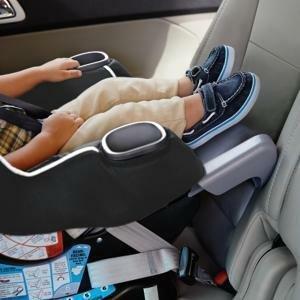 The 4-position extension panel adjusts to provide 12.7 cm (5”) additional legroom, allowing your child to safely, and comfortably, ride rear-facing longer. 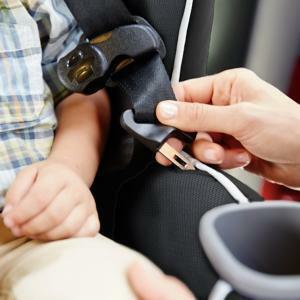 Fuss Free Harness Storage holds the buckle out of the way, making it easier to get baby in and out. The innovative 4-position extension panel provides an extra 12.7 cm (5”) of legroom, allowing your growing child to ride rear-face longer. 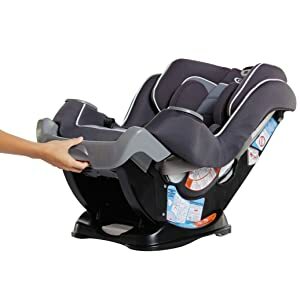 The 4-position extension panel works in tandem with the 6-position recline to keep your little one happily rear-facing until 2, or beyond, up to 22.5 kg (50 lb).